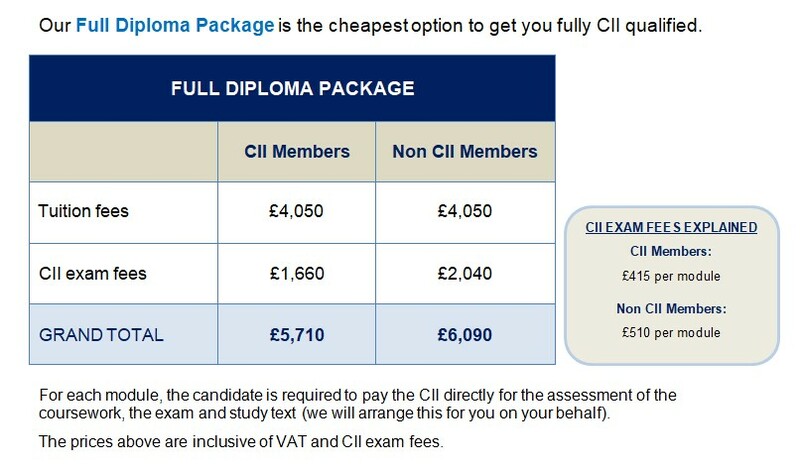 Our new Fast-Track method allows you to concentrate upon gaining your Dip CII qualification in the shortest possible time. In fact in just 30 days you can achieve your full CII accreditation. Taught at our Academy in Andover, or in-house at your premises for group bookings, candidates will study and sit the exams for four modules. All of the study materials are provided by the Academy, along with our dedicated professional trainers. The entire course lasts just 30 days including the exams. Download our course MAIN BROCHURE and SUMMARY BROCHURE for more details. To book the courses please click on the ENQUIRE button below to reserve a place or arrange on-site training. If you can’t get out of the office for 30 days, you may want to consider the Virtual Classroom option which is a lot more flexible but take a little bit longer to complete.